Eschew the tourist crowds and head to The Franschhoek Motor Museum and Groot Constantia. Get some cultural insight at Fairview Wine and Cheese and Klein Constantia. When in Cape Town, make a side trip to see Boulders Beach in Simon's Town, approximately 52 minutes away. There's still lots to do: kick back and relax at Clifton Beaches, head off the coast to Robben Island, take in the dramatic natural features at Twelve Apostles, and take in the awesome beauty at Table Mountain. To see maps, photos, other places to visit, and other tourist information, use the Cape Town itinerary planner. Singapore, Singapore to Cape Town is an approximately 20-hour flight. The time zone difference when traveling from Singapore to Cape Town is minus 6 hours. Expect colder temperatures when traveling from Singapore in May; daily highs in Cape Town reach 24°C and lows reach 11°C. Finish up your sightseeing early on the 5th (Fri) so you can go by car to Hermanus. Kick off your visit on the 5th (Fri): enjoy the sand and surf at Voelklip Beach and then kick back and relax at Grotto Beach. Get ready for a full day of sightseeing on the next day: do a tasting at Bouchard Finlayson Winery, identify plant and animal life at Fernkloof Nature Reserve, do a tasting at Domaine Des Dieux, then learn about winemaking at Ataraxia Wines, and finally stroll through Kwaaiwater. For more things to do, other places to visit, maps, and tourist information, refer to the Hermanus travel itinerary planner. You can drive from Cape Town to Hermanus in 1.5 hours. Alternatively, you can do a combination of bus and taxi. 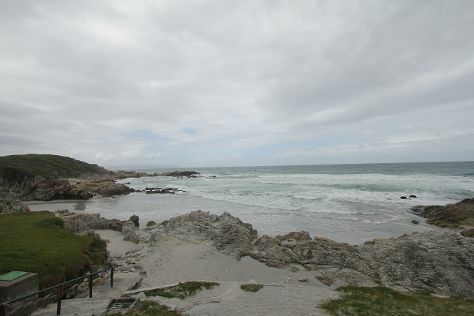 In May, daytime highs in Hermanus are 24°C, while nighttime lows are 11°C. Wrap up your sightseeing on the 7th (Sun) to allow time to travel to Cape Agulhas. 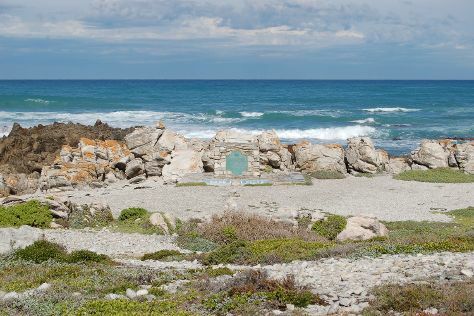 Kick off your visit on the 7th (Sun): visit a coastal fixture at Cape Agulhas Lighthouse and then take in the dramatic natural features at Cape Agulhas - Southernmost Tip of Africa. To see traveler tips, photos, more things to do, and more tourist information, read Cape Agulhas travel planner. Drive from Hermanus to Cape Agulhas in 2 hours. May in Cape Agulhas sees daily highs of 24°C and lows of 11°C at night. Cap off your sightseeing on the 7th (Sun) early enough to travel to Swellendam. Start off your visit on the 8th (Mon): take in the architecture and atmosphere at Old Apostolic Church, then don't miss a visit to NG Kerk, then take in the exciting artwork at Kunstehuijs Fine Art Gallery, and finally take an in-depth tour of Drostdy Museum. To see reviews, other places to visit, ratings, and tourist information, refer to the Swellendam tour planner. Getting from Cape Agulhas to Swellendam by car takes about 1.5 hours. In May, daily temperatures in Swellendam can reach 24°C, while at night they dip to 11°C. Wrap up your sightseeing on the 8th (Mon) early enough to travel to Oudtshoorn. Start off your visit on the 9th (Tue): do a tasting at Karusa Vineyards and then cruise along Swartberg Pass. For traveler tips, where to stay, photos, and other tourist information, you can read our Oudtshoorn trip builder. Traveling by car from Swellendam to Oudtshoorn takes 2.5 hours. Finish your sightseeing early on the 9th (Tue) to allow enough time to drive to Knysna. You'll discover tucked-away gems like Garden Route (Tsitsikamma, Knysna, Wilderness) National Park and Adrenaline & Extreme Tours. Change things up with a short trip to Monkeyland Primate Sanctuary in The Crags (about 50 minutes away). There's lots more to do: stroll through Brenton on Sea, take in the architecture and atmosphere at Holy Trinity Church, and look for all kinds of wild species at Featherbed Nature Reserve. To see ratings, photos, reviews, and other tourist information, use the Knysna travel itinerary creator. Traveling by car from Oudtshoorn to Knysna takes 2 hours. Alternatively, you can take a bus. May in Knysna sees daily highs of 24°C and lows of 15°C at night. Finish up your sightseeing early on the 12th (Fri) so you can travel back home.